The American President’s comment on “shithole” countries may have shocked the world but it is not the first time I have been made to feel that the African continent is viewed negatively. There has been a great deal of public furore following Donald Trump’s racist or not racist comments. UN representatives condemned the comments, a number of African countries such as Botswana, and the African Union demanded apologies, and other US leaders and politicians made clear their disgust at the sentiments Trump expressed. However, while other countries and politicians might not use such direct language as Trump, as a Kenyan, the message I often receive when interacting with their bureaucracies is that I am coming from a “shithole” country. Or, to put it more politely, you’re seen as a second-class global citizen. As an African living in Britain one of the most difficult of these experiences was around my wedding back in 2007. We had invited my Kenyan grandparents to join the happy day, but despite handing in their applications in good time, they were denied their visas. Of course, they appealed this decision and the appeal was granted, but by then it was too late. They missed our wedding and hilariously asked us to wear our suit and dress all over again, but it was still a disappointment on all sides. When I spoke to friends from other developing countries, be it Africa or the Caribbean, the very parts of the world Trump singled out for being shitholes, many shared similar experiences. Yet when I spoke to friends and colleagues from the US, Canada and yes even Norway (which Trump singled out as a country he wanted more immigration from) they had never suffered such disappointment when travelling to their family events around the world. As a Kenyan citizen, I was able to work in the British civil service – a legacy of colonialism and Kenya now being part of the Commonwealth. But even as a British civil servant it did not protect me from the explicit and implicit message that authorities of other countries gave me when they saw my Kenyan passport. For instance, as a UK civil servant, I once had to obtain an official visa to the US. For various administrative reasons, the US at the time granted 10 year official visas to UK civil servants, but for a Kenyan like myself, I found that I was only entitled to 5 years. In many ways, though, I was lucky, as I had the backing of the UK state for my application. Year after year there are articles about Africans being simply turned down for their applications for visas to the UK, US, and elsewhere, including for official work and conferences. I regularly find myself in international meetings where apologies are made for one or more other African representatives that couldn’t make it for visa reasons. Indeed, after I got married and Kenya changed its constitution I have been a dual citizen of both Britain and Kenya. It has been my, perhaps fairly unique, experience of using both passports that has really opened my eyes to the different way I am treated as an African compared to the way I am treated when a Brit, not just in Trump-land but all over the world. It’s not just rich countries that don’t seem to like my Kenyan passport. Just a year ago I went to Jamaica and the immigration official insisted I enter on my British passport instead of my Kenyan passport. I could have argued but with a 6-month old son in tow I just accepted the implicit prejudice that they would prefer a British citizen to enter the country rather than a Kenyan. Now, living in China, I find that the situation is hardly different. 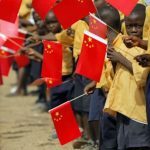 I’ve lived and worked in China as a Brit and a Kenyan, and I can attest to the fact that immigration is significantly harder as a Kenyan. An example was during a recent trip to a South-East Asian country, where it turned out that I needed to renew my Chinese visa in my Kenyan passport. I was initially told that I would need to go back to Kenya to do this. To me this didn’t make sense, and as a professional I frankly did not have time for it. What if I had been called to another international meeting and therefore needed to change my travel plans? I had never heard of colleagues in such circumstances needing to go home first. So I politely asked whether I would need to “go home” to get a visa if I used my British passport, and the – slightly abashed – answer was no. After pointing out the clear discrimination, on no other basis except my passport, the embassy changed its view and offered me a visa. It was encouraging that when officials are made to think about their actions they end up doing the right thing, but it was their first reaction that still today makes me think that Trump is simply voicing what other people secretly think. This kind of implicit discrimination is not confined to China. In conversation, a number of African ambassadors have acknowledged this is their regular consular experience in many non-African embassies. They think it is entirely normal that they and their fellow citizens have to first return home to get visas to other countries. It doesn’t matter if those citizens are bright talents, Harvard or Cambridge qualified or not. If they are not dual nationals of a non-shithole country they know no difference, they just have to accept it as their reality. On another occasion, I was told I must attend a face-to-face interview for a visa, timing for which was confined to one morning per week, which meant I had to change my travel plans. I could name the country but it is almost irrelevant because this issue is bigger than just one country. When I did undergo the face-to-face interview it was simply a formality – the official asked no difficult questions. 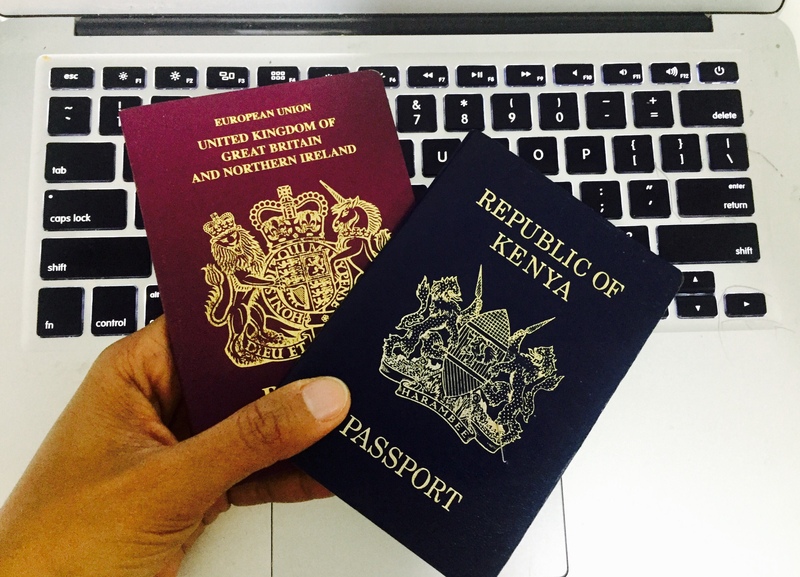 Being a proud African and wanting to travel the world as a Kenyan is not easy. I do it because I feel it is important but knowing I now have a British passport in my back pocket it reinforces the difference between coming from a “shithole” country and coming from a “respectable” country. Donald Trump may have been alone in expressing what have been called offensive views. But his country is not alone in the actual underlying treatment of African people, including highly qualified professionals like myself. Around the world, right now the only way for Africans from all walks of life – from doctors to child refugees – to escape discrimination in consular offices seems to be to take on another nationality or join the UN. The politicians in the US and around the globe who slammed Trump’s words are commendable. But as an African dedicated to engaging with the world what we really need is change in how we are treated not just spoken about. I know the International Organisation for Migration and African Union are doing great campaigns and policy drives to address this. But right now the fact is many of us are still made to feel that we come from shithole countries – whether it is said in public or not. Well done Hannah. Great article and very well written. Excellent piece and glad you wrote what many have been thinking. Thank you Michelle, thanks for taking the time to read and comment!